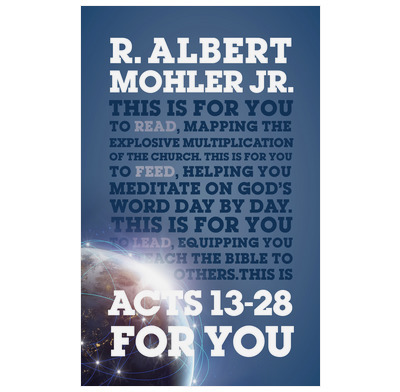 There is no more thrilling part of the Bible than the book of Acts, and no better guide to it than Albert Mohler. This second volume takes in the missions, arrest, and court appearances of Paul; the meeting of the Council of Jerusalem; and the arrival of the church in Philippi, Athens, and Rome. If you want to be fueled for Christian life and mission, you will want to read this book. This expository guide closely examines the second half of the book of Acts in an accessible, engaging and applied way and can be read as a book; used as a devotional; and utilized in teaching and preaching. Use alongsideGood Book Guide for small group Bible studies.